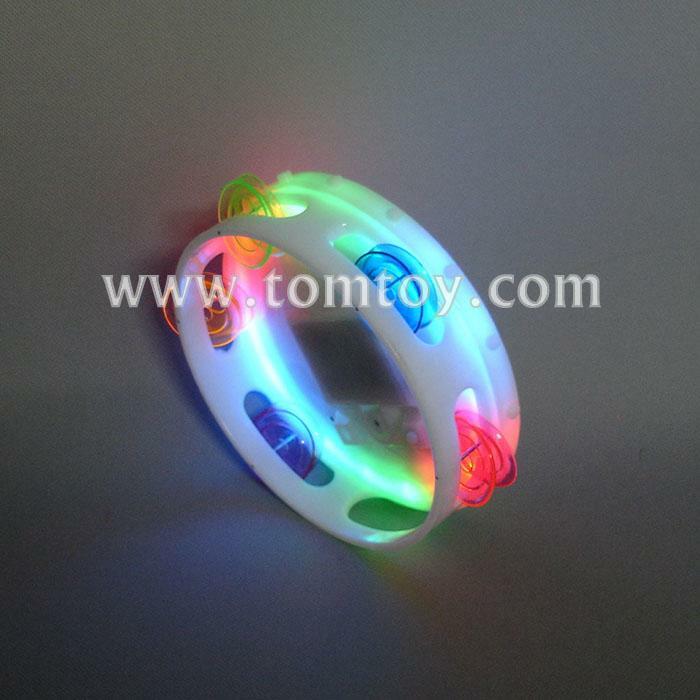 2.This item with its 6 different light modes is mesmerizing. 3.Five colors of Cymbals make the noise. 4.Three AAA batteries (replaceable) are included and installed.